THIS IS A LEGAL AGREEMENT BETWEEN YOU AND INFOBLOX. PLEASE READ THE TERMS AND CONDITIONS OF THIS AGREEMENT (“Agreement”) CAREFULLY BEFORE ACCESSING OR USING THE INFOBLOX DNS FIREWALL RESPONSE POLICY ZONE (“RPZ”) SERVICE OR DATA AVAILABLE THROUGH THE RPZ DATA FEED (collectively, the “Service”). “Customer” refers to you, the individual or entity registering, purchasing and/or using the Service. If the Service is being purchased, accessed or used on behalf of an entity by a representative authorized to register or use the Service on behalf of such entity, then “Customer” also refers to such entity. By accessing or using the Service, Customer agrees to be bound by these terms and conditions. These terms and conditions supplement the Infoblox Standard Terms and Conditions available at https://www.infoblox.com/company/legal/terms-standard-purchase which also apply to the Service and are incorporated by reference herein. If Customer has executed a separate master agreement with Infoblox then the master agreement will supercede the Standard Terms and Conditions, and these terms will supplement the executed master agreement between Customer and Infoblox with respect to the Service only. Subject to the terms of this Agreement and payment of all applicable fees, Infoblox grants Customer during the subscription term a non-sublicensable, non-transferable, and non-exclusive license to access and use the Service only through the Infoblox equipment licensed to access the Service (the “Infoblox Equipment”) and in accordance with the online help files and other content relating to use of the Service made available by Infoblox (the “Documentation”). The Service is made available solely for Customer’s internal business purposes, which includes use by Customer’s employees, service providers and contractors who are bound by obligations of confidentiality and use the Service solely on behalf of Customer in accordance with this Agreement. Infoblox reserves the right to modify the features, functionality and other aspects of the Service from time to time, provided that Infoblox will not modify the Service in a manner that would have a significant adverse affect on Customer’s use of the Service without providing reasonable advance notice to Customer. Customer acknowledges and agrees that it shall not use the Service for any purpose other than as licensed above, and that it shall use the Service only in accordance with all applicable laws, rules, and regulations, including without limitation all applicable export control laws and regulations. Except as expressly permitted by this Agreement, Customer shall not, nor permit anyone else to: (i) copy all or any portion of the Service; (ii) decompile, disassemble or otherwise reverse engineer (except to the extent applicable law prohibits reverse engineering restrictions) the Service, any software accessible in connection with the Service, or any portion thereof, or attempt to determine any source code, algorithms, methods, or techniques used or embodied in the Service or any portion thereof; (iii) modify, translate, or create any derivative works based upon the Service; (iv) distribute, disclose, market, rent, lease, assign, sublicense, pledge, or otherwise transfer the Service, in whole or in part, to any third party; (v) remove or alter any copyright, trademark, or other proprietary notices, legends, symbols, or labels appearing on or in the Service; (vi) perform, or release the results of, benchmark tests or other comparisons of the Service with other software or systems; (vii) access the Service from any device other than the Infoblox Equipment purchased by Customer; (viii) permit the Service to be used for or in connection with any facility management, service bureau, or time-sharing purposes, services, or arrangements, or otherwise used for processing data or other information on behalf of any third party; (ix) incorporate the Service or any portion thereof into any other compilations, materials, products, or services, or use the Service for production purposes; or (x) use the Service for any purpose other than in accordance with the terms and conditions of this Agreement. No part of the Service or any data available as part of or derived from the Service, may be downloaded or otherwise exported or re-exported (a) into any Restricted Country, (b) any country for which the United States has a trade embargo, or (c) to anyone on the U.S. Treasury Department’s list of Specially Designated Nationals or the U.S. Commerce Department’s Table of Denial Orders. “Restricted Country” refers to Afghanistan, Belarus, Cuba, Cyprus, Eritrea, Iran, Iraq, Ivory Coast, Lebanon, Sierra Leone, Libya, N. Korea, Syria, Vietnam, Myanmar, China, Haiti, Liberia, Rwanda, Somalia, Sri Lanka, Sudan, Yemen, Zimbabwe, Venezuela, and Democratic Republic of the Congo. Customer represents and warrants that it is not located in, under the control of, or a national or resident of any such country or on any such list. In the event of any violation of this Section 2, Infoblox may immediately terminate this Agreement, and shall be entitled to equitable relief in accordance with Section 9.3. Infoblox and its licensors retain all ownership of patent, copyright, trademark and other intellectual property rights in the Service (including any underlying data and software) and any derivative work of the Service or portions thereof. Except as otherwise expressly granted in this Agreement, no license, right or interest is granted hereunder. There are no implied rights and all other rights not expressly granted herein are reserved. Infoblox may provide any data and information related to Customer in response to valid legal process, such as subpoenas, search warrants and court orders, or to establish or exercise its legal rights or defend against legal claims. Infoblox will not be liable to Customer for any disclosure of such information to law enforcement entities. Fees for the Service are due annually in advance. Infoblox may change or increase fees for the Service with respect to any renewal term. Fees for the Service are non-cancelable and non-refundable. Infoblox may suspend or cancel Customer’s access to the Service if Customer fails to make timely payment. Infoblox Equipment and Infoblox software for accessing RPZ feeds are required for accessing the Service. Fees for the Service do not include Infoblox Equipment, software license for accessing RPZ feeds or support and maintenance for such equipment and software, which must be separately purchased by Customer. Infoblox is not responsible for providing or maintaining any ancillary third party services needed by Customer to connect to or access the Service (such as an internet access connection) or for paying any of Customer’s third-party access charges incurred by Customer to access and use the Service; or for ensuring that any third party services or equipment of Customer are compatible with the Service. Infoblox shall provide support for the Service to Customer during the term of Service in accordance with the support guidelines set forth in the Documentation and on Infoblox’s public website. Infoblox does not warrant the Service or support for the Service will be available for any particular time or during any particular period. Infoblox will not be liable for any unavailability resulting from any causes beyond Infoblox’s reasonable control. Customer is responsible for (i) any and all activities that occur under Customer’s Service account; (ii) properly configuring the Service in accordance with the Documentation; and (iii) using the Service solely for lawful purposes and in compliance with all applicable laws. Customer will notify Infoblox immediately of any unauthorized use of Customer’s Service account or any other breach of security regarding Customer’s Service account. The Service, Documentation, related software and data available as part of or derived from the Service constitute Infoblox confidential information. Customer shall protect such information with the same degree of care that it normally uses to protect its own confidential information from unauthorized use or disclosure, but in no event less than a reasonable degree of care. The information shall not be provided or disclosed to anyone except those employees, service providers and contractors of Customer with a need to know in connection with the performance of their obligations to Customer who are bound by similar terms of confidentiality. Customer shall not be required to maintain in confidence information that is (a) in the public domain, either at the time of disclosure by Infoblox or that, after disclosure, becomes part of the public domain other than by Customer; (b) information that was in Customer’s possession at the time of disclosure, and which was not acquired, directly or indirectly, from Infoblox or the Service;(c) information that resulted from Customer’s own research and development, independent of and without reference to disclosure from Infoblox or the Service, as evidenced by Customer’s records; (d) information that the Customer receives from third parties, provided such information was not obtained by such third parties from Infoblox on a confidential basis; or (e)information that is produced in compliance with applicable law or a court order, provided Infoblox is given reasonable notice of such law or order and an opportunity to attempt to preclude or limit such production. Customer acknowledges and agrees that due to the unique nature of Infoblox’s confidential information, there can be no adequate remedy at law to compensate Infoblox for the breach of this Section 8 or of Sections 2 or 3; that any such breach may result in irreparable harm to Infoblox that would be difficult to measure; and, therefore, that upon any such breach or threat thereof, Infoblox shall be entitled to injunctive and other appropriate equitable relief (without the necessity of proving actual damages or of posting a bond), in addition to whatever remedies it may have at law, hereunder, or otherwise. INFOBLOX AND ITS LICENSORS EXPRESSLY DISCLAIM ALL REPRESENTATIONS, WARRANTIES AND GUARANTEES, EXPRESS OR IMPLIED, WITH RESPECT TO THE SERVICE, DOCUMENTATION AND RELATED EQUIPMENT AND SOFTWARE, INCLUDING, BUT NOT LIMITED TO, WARRANTIES OF MERCHANTABILITY, FITNESS FOR ANY PARTICULAR PURPOSE AND NONINFRINGEMENT, AND ANY CONDITIONS ARISING OUT OF COURSE OF DEALING OR USAGE OF TRADE. 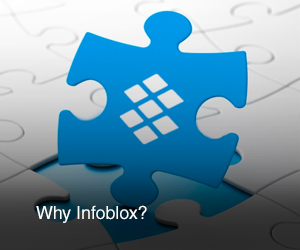 Infoblox has not authorized any party to make any representation, warranty or obligations on behalf of Infoblox. In no event does Infoblox warrant that the Service or related equipment and software are error free or will be provided without problems or interruptions. This disclaimer shall apply even if the express warranty set forth above fails of its essential purpose. TO THE EXTENT PERMITTED BY APPLICABLE LAW, (A) IN NO EVENT WILL INFOBLOX OR ITS LICENSORS BE LIABLE FOR ANY LOSS OF USE, LOSS OF DATA, LOSS OF PROFITS, BUSINESS INTERUPTION, OR ANY INDIRECT, SPECIAL, INCIDENTAL, OR CONSEQUENTIAL DAMAGES OF ANY KIND REGARDLESS OF THE FORM OF ACTION WHETHER IN CONTRACT, TORT (INCLUDING NEGLIGENCE), STRICT PRODUCT LIABILITY OR OTHERWISE, EVEN IF INFOBLOX HAS BEEN ADVISED OF THE POSSIBILITY OF SUCH DAMAGES, AND (B) INFOBLOX AND ITS LICENSORS TOTAL LIABILITY FROM ALL CAUSES OF ACTION AND UNDER ALL THEORIES OF LIABILITY WILL BE LIMITED TO THE AMOUNTS PAID BY CUSTOMER FOR THE FEES RECEIVED BY INFOBLOX RELATING TO THE SERVICE OR, IN THE EVENT THAT INFOBLOX HAS MADE THE SERVICE AVAILABLE TO CUSTOMER WITHOUT CHARGE, INFOBLOX’S AND ITS LICENSORS’ TOTAL LIABILITY WILL BE LIMITED TO $500. THE FOREGOING LIMITATIONS WILL SURVIVE AND APPLY EVEN IF ANY LIMITED REMEDY SPECIFIED IN THIS AGREEMENT IS FOUND TO HAVE FAILED OF ITS ESSENTIAL PURPOSE. The start date for the Service will be the date on which Infoblox sends notice to Customer that the Service is available for activation by Customer and provides any necessary license or access codes. The term of the Service will continue for the period purchased by Customer. Prior to the end of the Service period purchased, Infoblox will notify Customer. If Customer does not purchase an additional period of Service, then Infoblox the Service will terminate upon expiration of the period purchased. This Agreement will remain effective during the term of the Service. Notwithstanding the foregoing, this Agreement and the Service may be terminated by either party immediately upon written notice if the other party materially breaches it obligations under this Agreement and fails to cure such breach within 30 days following written notice to such party. Additionally, Infoblox may terminate this Agreement and the Service upon 30 days written notice in the event that payment for the Service is not received. The provisions of Sections 2, 3 and 8 through 12 will survive the expiration or termination of this Agreement. As defined in FAR section 2.101, DFAR section 252.227-7014(a)(1) and DFAR section 252.227-7014(a)(5) or otherwise, the software and documentation provided in connection with the Service are “commercial items,” “commercial computer software” and/or “commercial computer software documentation.” Consistent with DFAR section 227.7202, FAR section 12.212 and other sections, any use, modification, reproduction, release, performance, display, disclosure or distribution thereof by or for the U.S. Government shall be governed solely by the terms of this Agreement and shall be prohibited except to the extent expressly permitted by the terms of this Agreement. Any technical data provided that is not covered by the above provisions shall be deemed “technical data-commercial items” pursuant to DFAR section 227.7015(a). Any use, modification, reproduction, release, performance, display or disclosure of such technical data shall be governed by the terms of DFAR section 227.7015(b). This Agreement, including the Standard Terms and Conditions (or master agreement executed by Infoblox), and other addenda thereto, represents the complete agreement regarding the subject matter of this Agreement and supersedes all prior and contemporaneous agreements, understandings, negotiations and discussions, whether oral or written, of the parties. In case of any inconsistency between this Agreement and any other terms included with or relating to purchase of Infoblox products, this Agreement shall take precedence with respect to the Service. This Agreement may be amended only by a written document executed by a duly authorized representative of each party. No purchase order, other ordering document or any hand written or typewritten text which purports to modify or supplement the printed text of this Agreement shall add to or vary the terms of this Agreement unless signed by authorized representatives of each party. This Agreement shall be governed by and construed in accordance with the laws of the State of California and the United States without regard to conflicts of laws provisions thereof and without regard to the United Nations Convention on Contracts for the International Sale of Goods. If any provision contained in this Agreement is or becomes invalid, illegal, or unenforceable in whole or in part, such invalidity, illegality, or unenforceability shall be stricken to the minimum extent necessary to maintain the legality of the agreement and shall not affect the remaining provisions and portions of this Agreement.